Achillea ptarmica or Sneezewort is a herbaceous perennial which produces pretty, loose clusters of white pom-pom flower heads that bloom throughout summer. 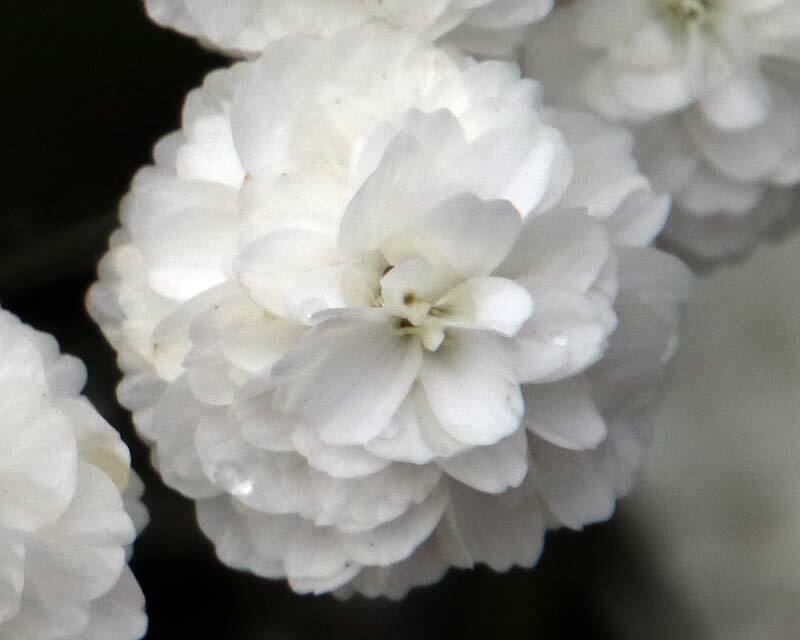 It has aromatic, pinnately divided foliage that is often masked completely when the plant is in full bloom. 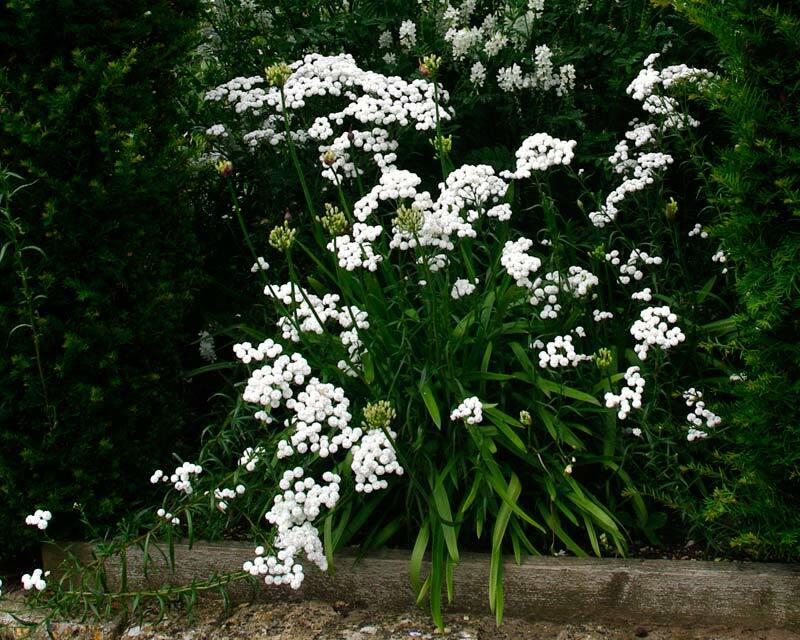 This is a very attractive, informal, cottage style plant that will contribute well to mixed borders, gravel gardens and also goes well in larger pots and tubs to be scattered around patios and along pathways. They are successful as both fresh cut and dried flowers. Soil: They like a moist soil, but well drained so add plenty of organic matter and apply a layer of mulch after planting. Don't let them get water logged though. Choose a sunny location with some shade throughout the day (preferably avoiding the scorching afternoon sun). Maintenance: Trim back foliage in spring to promote fresh, new growth. Propagate by division in springtime. They will need 2-5 years to achieve full potential. They are drought tolerant and can manage with little watering. 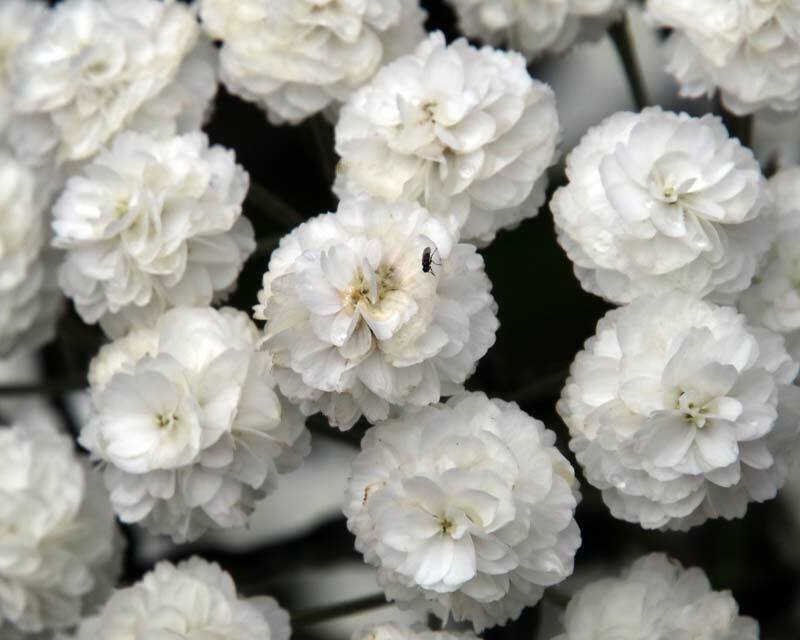 Diseases: Aphids and powdery mildew can be an occasional problem. 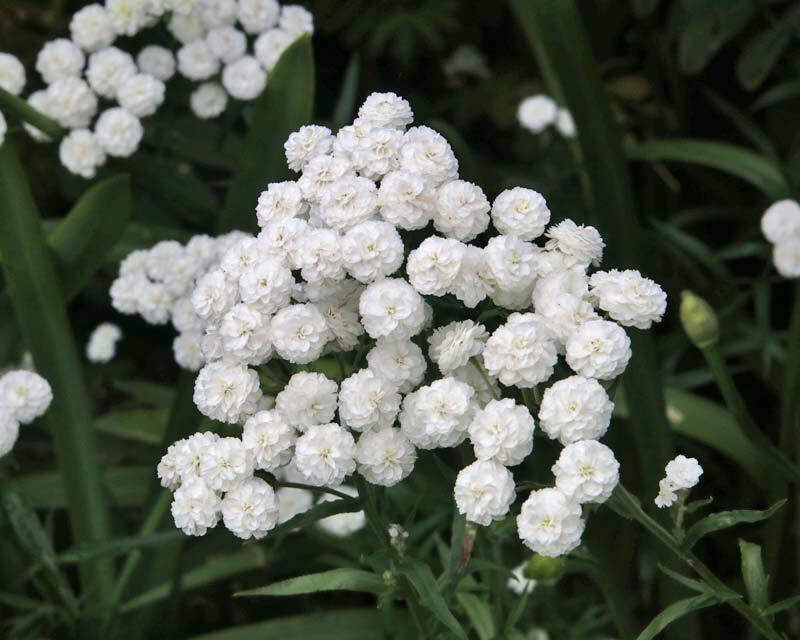 Other Species: There are 85 species in the Achillea genus, generally with fern-like, aromatic foliage. Comments: The leaves are used as an insect repellent. The plant is poisonous to cattle, sheep, and horses. Named after Achilles who used this plant to help stop bleeding of his wounded troops. Ptarmica refers to its ability to make you sneeze.